So It’s almost 4am and I’ve just finished watching Sony’s E3 Conference, even though I’m primarily an Xbox gamer, I think Sony do an excellent job and if you asked me in my personal opinion, Sony has taken E3 Conference every year since 2008, did they do the same this year, especially after Microsoft’s solid, game focused E3 Conference? Find out at the end of this. So Sony started off with an epic and awesome trailer for Bungie’s Destiny, as an Xbox gamer, it’s strange to see so much extra effort put through to a system that isn’t an Xbox, but what can you do? PlayStation users get access to the Destiny beta in July, first it was Battlefield Hardline and now I miss out on Destiny, on top of that Destiny on PS4 gets exclusive DLC and a fancy bundle. Quick little rant. I’m all for exclusive games but exclusive DLC just annoys me to no end. The Order 1886 got some gameplay shown and that game looks crazy good on a visual level, sadly there wasn’t much on the gameplay to really get my head wrapped around but from a visual standpoint, looking good. LittleBigPlanet 3 was announced to much love from the crowd, I’ve never played those games but I’ve watched a lot about them and LBP3 is definitely taking it up a notch in gameplay and I know the community is going to make some amazing things with the tools that the LBP games have. While Ii struggle to make a simple 2D Level. From Software showed off their new game Bloodborne, it was leaked earlier under the name of Project Beast and some people where hoping it was Demon Souls 2, the game looks cool but again far to early to make a assumption of the game but From Softwares track record is excellent. Next to the stage was Far Cry 4 and the gameplay was awesome, I really enjoyed the co-op and single player of Far Cry 3 and was suprised at how much I loved that game, also speaking of co-op. Sony dropped a pretty awesome announcement regarding Far Cry 4, if you have the game on PS3 or PS4 you can invite your friends to join your game even if they don’t own the game! Even though its probably for a small co op mission and not the whole game, that’s still a pretty sick feature. Only on PlayStation. Dead Island 2 got announced with a amusing trailer with PlayStation exclusive features, another big announcement which is sure to make many people happy is that Tim Schafer and Co is remaking Grim Fandango, exclusively for PS4 and PS Vita. Suda 51 showed a trailer, which had no real time gameplay, called Let it Die. Sony made a announcement regarding YouTube and how players will be able to upload videos that have been captured straight to their YouTube channels and further improving the streaming services of the console. PlayStation Now is finally moving to Open Beta this year to the US and Canada. Hopefully the UK and EU get it soon as well. As with Microsoft, Sony also was shown nothing but love and support for the indie developers, and while I don’t play Indie games, it’s really a amazing thing Sony and Microsoft are doing to show support for these smaller studios and helping them create and achieve their visions. Hopefully the support keeps on going. Mortal Kombat X had its gameplay debut shown to the world and it was looking glorious in its bloody, bone freaking goodness, visually it looked great and the gameplay looks like traditional MK along with improvements and features from Injustice Gods Among Us. Fighting game fans will love them some Mortal Kombat X. Closing out the conference Sony dropped a few more awesome trailers, firstly the new trailer for Metal Gear Solid 5 The Phantom Pain, that came can’t come out soon enough, it looks stunning and from the small taste I got from Ground Zeroes, this game is going to something amazing. Although people have known this was coming for a while, it’s nice to see the confirmation. Grand Theft Auto 5 is coming to PlayStation 4 and I’m assuming Xbox One as well, what was incredibly amusing was Sony was offering PS3 players the chance to transfer their multiplayer characters over to PS4 when they upgrade but they also made this offer to Xbox 360 players as well. I see what you’re doing Sony. Batman Arkham Knight was shown and unfortunately not enough was shown, the game looks stunning and man is it good to hear Kevin Conray as Batman again, it’s just not the same without him. And finally, last but certainly not least, Sony closed out the conference with a jaw dropping trailer apparently captured in game for Uncharted 4, not much was shown other then Drake getting up from a island at knight and he is looking rough. 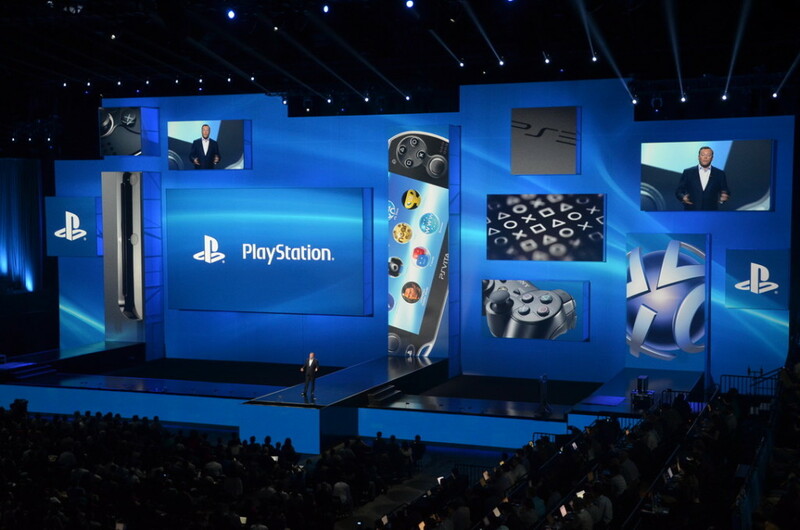 Overall Sony did great again, they showed off exclusives and exclusive content and they also kept it all about the PS4, something Microsoft also gets credit for, while I loved the PS3 and 360, its time for them to bow down and let the new consoles shine. The negatives of the conference was that it was a bit to dragged out, they could have kept the pace better like Microsoft did. I’m also sad that Guerilla didn’t show their new IP or a teaser at least for the new God of War or Syphon Filter. Also Sony doesn’t really have a killer app for themselves for this holiday season, while they have plenty of exclusive content, Microsoft has them beat this year for exclusive games but 2015 is definitely going to be when it gets serious. After the bombs that Sony laid down last year, it was going to hard to live up to that hype but they did great, the showed plenty of great stuff and overall I would say they had the best conference out of the bunch today again for the 7th time in a row for me personally. I would give them a solid 8/10. Well that’s it for the conferences minus Nintendo but stay tuned for more coverage! 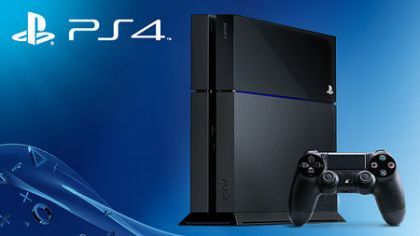 Tagged with e3, e3 2014, impressions, opinions, overall impressions, playstation 4, PS4, review, sony.